Hand held GPS receiver with large color display, electronic compass, barometrical altimeter, integrated world and Europe/Africa map, auto-routing, USB and serial interface. 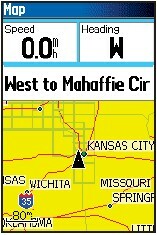 The GARMIN GPSMAP60CS / GPSMAP60CSx is very easy to use thanks to its rocker key and user friendly graphical interface. It supports multiple languages, has an integrated world map (overview) plus a base map of Europe, Africa and the near East. 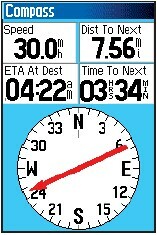 As an enhancement over the GPSMAP60C / GPSMAP60Cx, the GPSMAP60CS has an electronic compass and a barometrical altimeter. 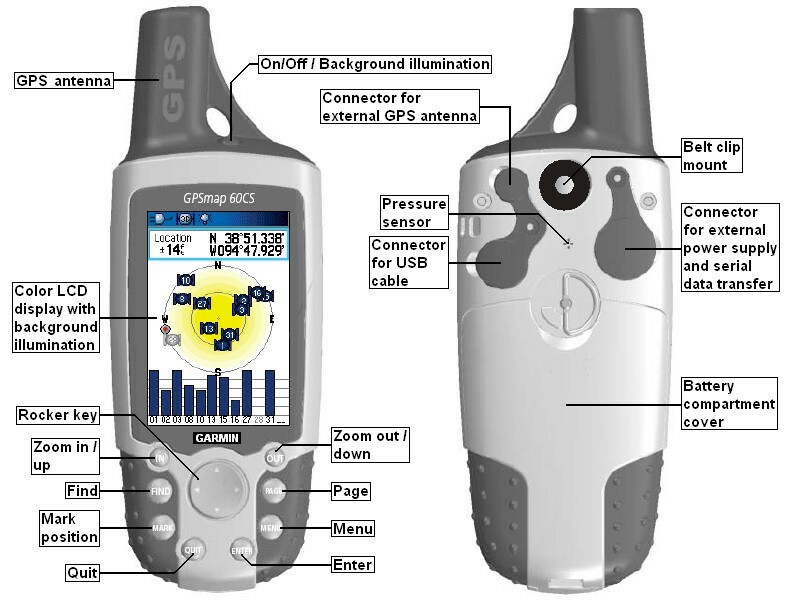 In addition, the GPSMAP60C has 56 MB of built-in memory to store even more detailed information, such as local roads, restaurants and points of interest. The GPSMAP60Cx has a slot for a standard micro SD memory card in the battery compartment and comes with a 64 MB memory card. The extremely sensitive antenna provides navigation information outdoors, in a car, in a train or even in an airplane (see MapSource examples). Because of the very low power consumption, the batteries of the GPSMAP60CS / GPSMAP60CSx last up to 20 hours. The built-in serial and USB interface support data exchange with a PC. 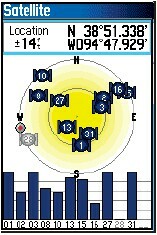 GPSMAP60CS: Integrated 56 MB memory. 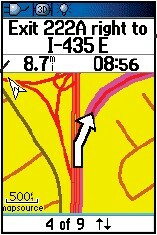 GPSMAP60CSx: Slot for standard micro SD memory card ("TransFlash"). A 64 MB memory card is included. Larger memory cards are available as an option. See also our attractive bundels with larger memory cards. Note: You may configure the main pages through options. The screenshots below are just examples, the actual appearance may vary from the pages shown below depending on the current settings. Especially the content of the data fields is user configurable. You can choose from 39, rsp. 15 different values, see selection 1, rsp. selection 2. Selection 2: For each data field, you can choose one from the following 15 values. 1 Ambient pressure The uncalibrated current pressure. 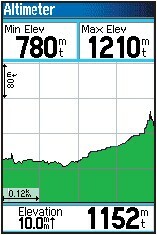 2 Ascent average The average vertical distance of ascents. 3 Ascent maximum The maximum ascent rate. 4 Ascent total The total distance ascended. 5 Barometer The calibrated current pressure. 6 Descent average The average vertical distance of descents. 7 Descent maximum The maximum descent rate. 8 Descent total The total distance descended. 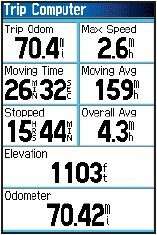 10 Minimum elevation Lowest altitude above sea level since last reset..
11 Maximum elevation Highest altitude above sea level since last reset. 12 Glide ratio The ratio of horizontal distance travelled to vertical distance. 13 Glide ratio to destination The glide ratio required to descend from your current position and elevation to the destination's elevation. 14 Vertical Speed Current ascending or descending speed. 15 Vertical Speed To Dest Required rate of ascent or descent to reach the final destination. 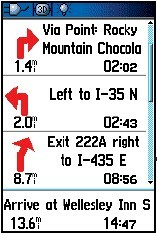 These models have been discontinued; however, you can still order options for the GPSMAP60CS / GPSMAP60CSx. 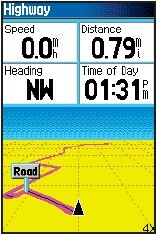 All options for the GARMIN GPSMAP60CS / GPSMAP60CSx in detail. 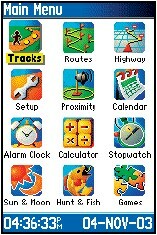 xImage software V2.30 (create your own icons etc, 3.5 MB).